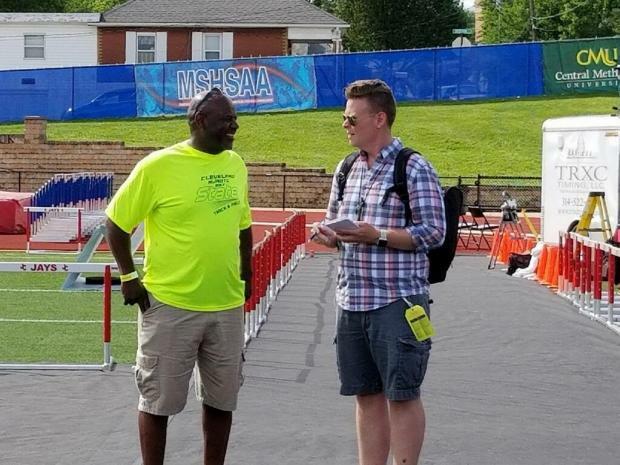 When I took over mo.milesplit.com in September of last year I started to research some of the top talents in Missouri. It became clear to me that Cleveland ROTC had the makeup to be a very strong program at the class 2 level. Then in winter track, their middle distance twins became the topic of conversation for their fast times making everyone take a double take. It warms my heart see hardworking people get rewarded and Cleveland got to reach the pinnacle of high school track and field. I know it must be satisfying to win and even more so when a team had to overcome some hardships at the end of the season. 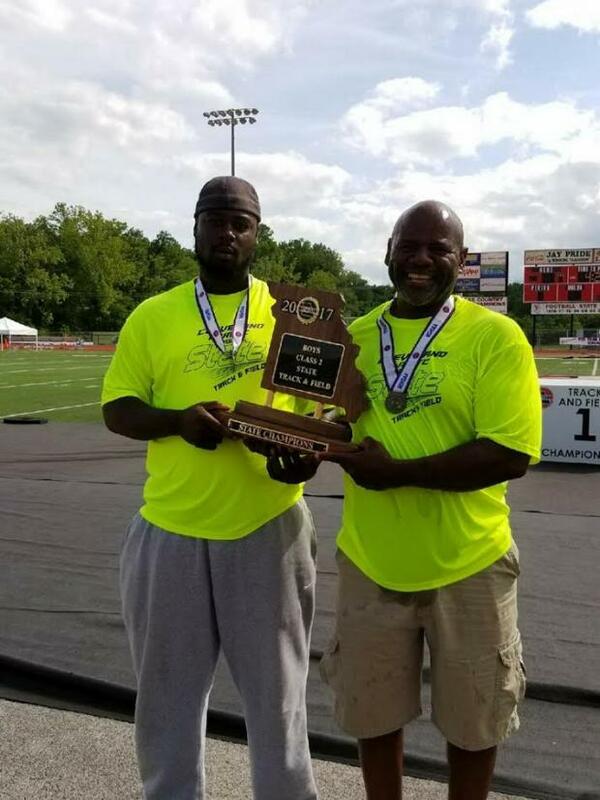 Mo.milesplit: Coach, congrats on your great season. How does it feel to be finished and accomplish such a great end to your season? Coach Swinney: It really feels great to receive the highest honor a team and coach can get on the High School Level. After finishing runner-up last year I explained to my guys to enjoy what They had accomplished. Before we left for the summer I informed them we would be state champions next track season IF we come back hungry. Are there any unique things you do as a team to get ready or celebrate before/after state? This winter our guys were incredible because all they talked about was looking forward to the upcoming season. At that point, I knew they were focused on getting it done. Once we got started we talked more about leaving their legacy and the only way they wouldn't win it was to be complacent and not work hard. The one thing I believe in is that coaches need to be visible to let their student athletes know we are keeping an interest in them. Since we are a small school our athletes compete in different sports and activities. Are there any crazy moments you are willing to share from state? Crazy and unfortunate moments were throughout the season we were without a few returners from the previous season. Things such as injuries guys not returning etc. What do you feel are your chances next year and is there one thing you might have done differently as you reflect. We are building a great tradition here at Cleveland and when it comes to history these young men will definitely part of making it. Do you have any advice for other coaches who wish to eventually get to your level at the state championships? My advice to any coaches who are out there when you get or want to get to the championship level you must prepare your team both mentally and physically. You must challenge them to be the best and they have to perform at their best.